I love "painting" with crochet. 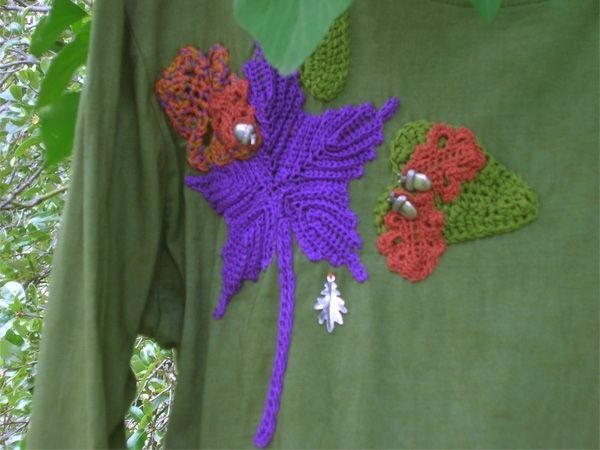 I crocheted fall leaves and sewed them along with purchased leaf and acorn buttons onto this T-Shirt. 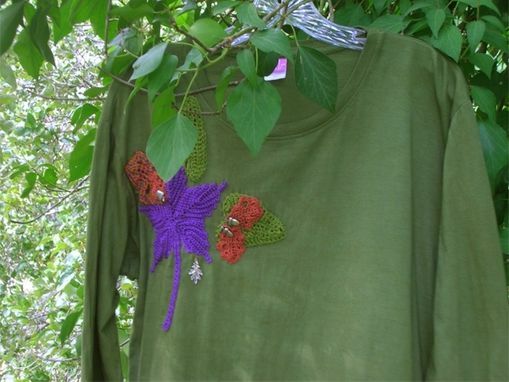 This is a Dharma Trading Company Feminine Fit T-Shirt Blank. 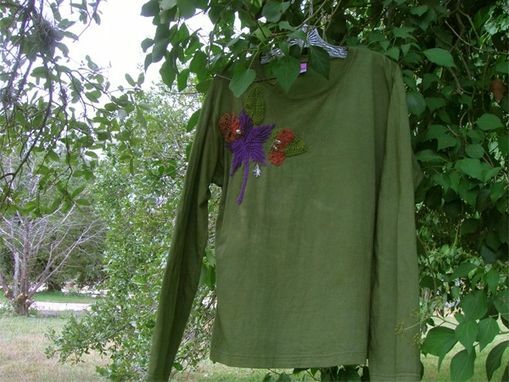 It was white and I dyed it a fall green. These come in many sizes.